So Where Did The Name Laticrete Come From ...? Just thinking to myself , I was making some bullnose in the shop this morning for a job and my attention was brought to one of your banners I have hanging on the walls and the word "Laticrete", where did that word come from? 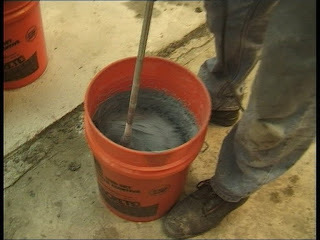 Laticrete = Latex + Concrete .....! Shock and vibration are problems on Rapid Transit projects. 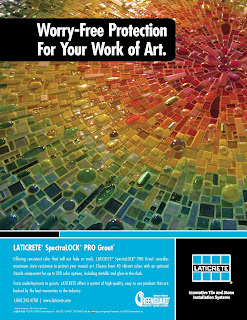 Laticrete System materials provide high strength, shock & vibration resistant installations of tile & stone. Interior areas, exterior areas. 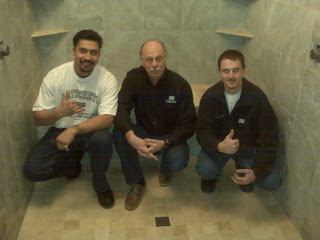 A beautiful tile installation by Corradini Corp.
Photo courtesy of Joe Wagner of Corradini Corp Las Vegas. Click on the photo for an enlarged view. 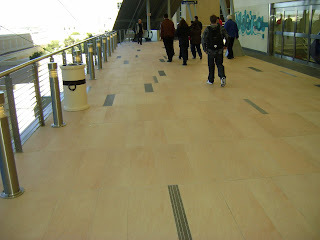 An installation of Bamboo mosaic tiles made with Latapoxy 300 epoxy adhesive. 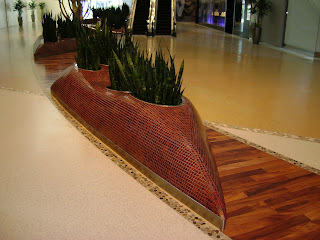 I am in Las Vegas this week and seeing some incredible Tile & Stone installations. Installed with Laticrete of course ....! 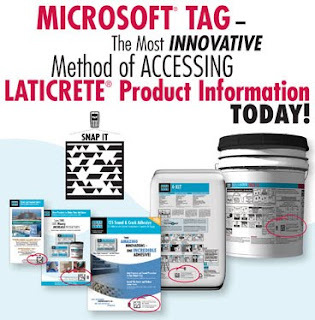 LATICRETE Adopts Microsoft Tag on Product Packaging! We are introducing Microsoft® Tag reader technology on our product packaging, catalogs, marketing tools, displays, advertising, signage, and other marketing initiatives to provide easy to retrieve, on demand product information. Microsoft Tag is a two-dimensional, high-capacity bar code technology offering an entirely new way to quickly access LATICRETE information through any web-enabled mobile device. A simple “snap” of the Tag symbol with a web-enabled mobile phone camera or handheld device provides instant access to LATICRETE® product specifications, installation guidelines, videos, contact information and other available details. This technology adoption by LATICRETE supports our ongoing commitment to customer service. 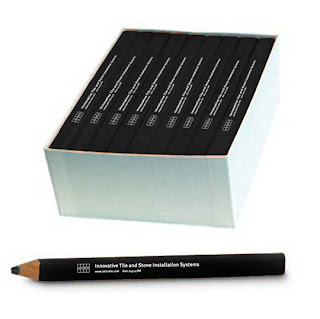 Our ongoing commitment to provide the added convenience of locating timely information on LATICRETE products when customers need it most. 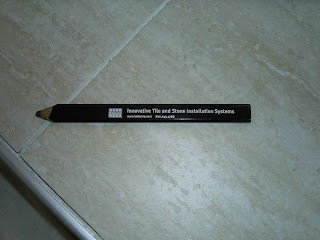 LATICRETE customers will be quickly directed to a host of information including technical specifications for installing tile and stone with LATICRETE materials. Microsoft Tags help transform LATICRETE product packaging and marketing media into a gateway for accessing additional information online in just seconds. 1. Download & install the free Tag reader software to your mobile device ( http://gettag.mobi ). 2. Open the Tag reader application and photograph a Tag icon. 3. Wait for information to load on the screen of your mobile device. Your feedback & comments will be appreciated ....! I want to second what Mark said. I used to work on large commercial jobs where we bought pallets of thinset and 4237 and 3701 and SP-100 Epoxy, but now I am just a guy running my own small company where some weeks I am glad to use a couple bags of thinset. But Laticrete has taken an interest in my small company and even provided some free products. Mahalo!" Are we YOUR supplier of tile & stone installation materials ..? If not, would you please give us a try ...? Give us the opportunity to earn your respect ... and your business. Thank you. "Henry, I guess I could send you this in a PM but I wanted to thank you in public for your interest in my company. Your rep Lee came to see me a few weeks ago and filled my brain with all kinds of useful information. Thank you also for the bags of 255 Multimax. I tried some on my last shower and quite enjoyed it. I am but a one man show (sometimes w/ a helper) and I know I'm not a huge $$ customer to any supplier but it was very kind of you guys to take the time to introduce me to Laticrete. I have been using some Hydroban also. Customer service goes a long way in my book. 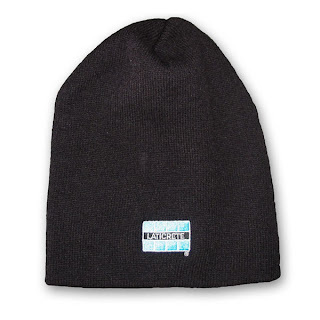 Who wants a Laticrete knit hat ...? Send me an email. I need your full name and mailing address. Humor me - tell me what kind of work you do. So what's the story here at Laticrete regarding this "Social Media" stuff ...? "Integrate and promote social content throughout our digital presence"
This one is in East Texas. I'm the guy in the middle. 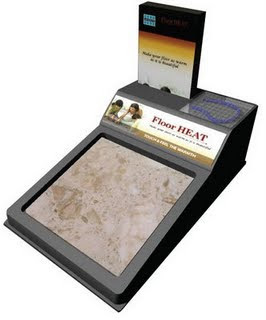 If you have a showroom ..... do you have a FloorHEAT display...? Brad Potter of Northstar Ceramics has a daughter who hunts. A good looking installation of "medium" size tiles. "A picture of my son and daughter playing in the 15” of snow that we got in Western North Carolina right before Christmas. My son Braden did not have a hat so I let him borrow mine. Caroline and Braden had a nice time playing and wearing me out. We do not get much snow so it was a treat for them." Who wants a Laticrete knit hat ..? One of our Laticrete guys likes to do a bit of ice fishing. 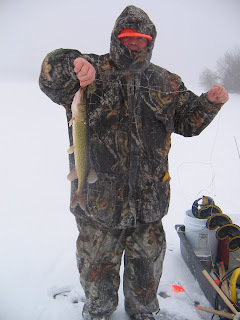 "This is what you call die hard ice fishing, 12˚F with winds up to 40 mph and snowing. Unfortunately the fishing wasn’t real great." 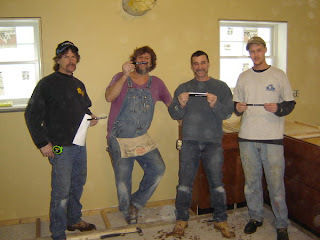 These guys will remember which thin-set and grout to buy on their jobs ! "The spectralock arrived today right on time and saved the day. The bathroom looks excellent. Spectralock is a wonderful product to work with. After 8 pro units we've got this down pretty good and have no fears of using it much more often." "Threw a handful in my truck and left the rest in the shop for safe keeping. "